In more commercial news, it is also now sold at Target stores. More SVAD/Media Arts Grads/Prof. Northrop Davis's mentees breaking into the industry! Graduate of Prof. Davis’s manga class and Wemakemanga alumni Jarad Greene sells his graphic novel publishing rights to a major comics publisher and now has a big time lit agent! Jarad Greene’s SCULLION, in which a castle dishwasher with big dreams is kidnapped after being mistaken for the most famous warrior and bestselling author in the kingdom, on the morning of her wedding to the crown prince; he must channel his hero and figure out a way to save himself, to Hazel Newlevant at Lion Forge with Amanda Meadows editing, for publication in 2020, by Kelly Sonnack at Andrea Brown Literary Agency (world). Here is an early example of his student manga work that he created for the class. Huge congratulations, Jarad!!! Jarad will be skyping into Davis's fall 2019 manga class here at Carolina for a q and a with the students! Prof. Davis's TV Writing and Advanced Screenwriting classes grad Tyler Peck has been hired to be the wrter's assistant for show-runner Alice Bell on Amazon’s upcoming drama series The Expatriates, from Nicole Kidman’s Blossom Films. Before that, Tyler worked on the CBS summer drama series Salvation as a writer's P.A., which is traditionally a step before staff writer. Previously he worked on Black-ish, LOVE, and Dice on the production side. Terrific news, Tyler!!! Like Greg, Ashley Poston (see below), Alexa Garfinkle, Brook Driver and others of our wonderful grads, he skypes into Prof's Davis's classes to help our students! Huge congratulations to Media Arts major and SC Honors College graduate Gregory Goetz, who took Professor Davis’s and Riley’s classes and previously was hired to co-write two episodes of the ABC TV/Shondaland series The Catch. The most recent episode Greg wrote aired during prime time on ABC on May, 17 2017 (the earlier episode he penned aired May 12th 2016). Greg previously was script coordinator for The Catch and another show Salem. Before recently moving onto Scandal, he was working on Salvation with MART and writing class alumni Tyler Peck (above). Congratulations to Brook Driver, who took Prof. Davis’s MART Advanced Screenwriting and Television Writing classes, and his mentee has sold the option of his original screenplay to a producer of Harry Potter Tanya Seghatchian (some of her credits are listed here. Brook is now represented by the top screenwriting agents and agency in England, United Agents. UPDATE AS OF MARCH 2019: We will have exciting new breaking news on Brook's career progress to report as soon as we can talk about it! Wemakemanga head writer and Prof. Davis TV writing class alum previously hired full-time by “Harry Potter” publisher who published the highly rated Heart of Iron has finished its sequel Soul of Stars which comes out in July 2019 from HarperCollins Publishers! Big congratulations to Ashley!!! (English, 2012 graduate and a TV writing student at MART and former writer on the wemakemanga website) who previously was named Marketing Designer for Bloomsbury Publishing-- she is now a novelist represented by Holly Root of Waxman Leavell Literary Agency. For information about Ashley - she now has two young adult fiction books at Bloomsbury Spark alone, those and her other books can be found here. Vivian Aultman (2016), a Studio Arts graduate and a former student in Professor Northrop Davis's The Art and Business of Manga and Anime class, is now a proud cast member at the Walt Disney World Company. She is currently working on the opening team in Merchandise on Pandora, which is Lightstorm Entertainment and Walt Disney World's physical realization of James Cameron’s Avatar universe and as Character Attendant at Hollywood studios. You can view her manga here: Warriors Risen. Louise Wang, class of 2011, was hired as an employee and assistant animator at Next Media Animation, one of the biggest animation companies in Taiwan and Hong Kong. Previously Louise, like Ashley Poston, was selected for and took the internship set up between Kodansha USA, the manga division of Random House Publishing in NYC for several of Prof. Davis's students . Louise Wang’s work can be seen on this site, including Wedding Singer, and Fujo Club. More recently Louise has been studying Japanese language in Japan with hopes to become a mangaka there. UPDATE: she also inked and did the refined designs for Prof. Davis and his team's full length manga that he wrote, The Hole, that was funded by a USC Provost's grant! Due to the high quality of volume 1, Prof. Davis was generously awarded a second provost's grant and The Hole, volume 2: Space Airport is now in production-- so Louise is serving the same role again! Volume 1 will be published closer to volume 2 so as to keep readers of the series from having a gap between volumes. We will release preview images as the publisher allows it! Part of the idea behind this project is to bring the techniques Prof. Davis and his team learn and utilize on it back into the classroom, to increase the quality of work created in Davis's The Art and Business of Manga and Anime (MART 521C) class. Bonnie Harris-Lowe (2017), a Media Arts and SC Honors College major and a former student in Prof. Davis's Honors College TV Writing class has been awarded $25,000 by the George Lucas Family Foundation Scholarship upon her acceptance at the University of Southern California's MFA Interactive Gaming program. As her academic advisor, Prof. Davis wishes her a big congratulations!!! Alex Anderson, class of 2013, who created a webisodes in TV writing class works full time as a producer for Blue Socks Media in Charlotte, NC. Blue Socks owns a kids television series called Raggs, and is currently in the development stage for two new kids series. Alex is also a part of a comedy sketch group, “Boom Goes the Dinosaur” and is represented by Millie Lewis of Columbia. Taylor who took Prof Davis's TV writing class's Big Break into Hollywood was landing an Office Production Assistant position for Fox's Sleepy Hollow and worked her way up to Production Secretary. She has worked on Boy Erased, Superfly, and The Mule, Clint Eastwood's new film. She hopes to be an executive producer on comedic features and television shows. Clayton has performed art direction on three national commercial spots for Tide brand detergents. Other art direction credits include Samsung Electronics America, Miliken Textiles, and a music video for country music singer Ryan Follesse. This summer, he was an assistant camera for The Daily Show, and as a set dresser, Clayton has crewed for: The Righteous Gemstones (HBO), Halloween (Blumhouse Productions), Salvage (ABC Studios), Conrad and Michelle (Lifetime Network), The Sinner (NBC Universal), The Inspectors (CBS), Pilot Travel Centers (Commercial), Drunk On Your Love (Brett Eldridge), and the horror films Enclosure and Faceless (Black Bear Studios). Clayton was also a property assistant on the television show Mr. Mercedes (DIRECT TV) Clayton's other production experience includes: Top Chef & Southern Charm (BRAVO), Kingpin (HISTORY), Island Life (HGTV), The Circus & Active Shooter (SHOWTIME), Dare to Travel (TRAVEL), Triumph Election Special (HULU), Shining a Light (A&E), Concert for Valor (HBO), Million Dollar Critic (BBC AMERICA), The X-Factor (FOX), Wicked Tuna & Doomsday Castle (National Geographic Channel). Alexa has worked at Showtime Networks since 2016 (Temporary Supervisor of Rights and Clearances, 2016; Creative Services Production Assistant, 2016-2017; Project Management. Coordinator, 2017-Present). Previously she was Producer's Assistant at 20th Century Fox Television (2016), Director/Producer's Assistant at Fox International Channels (FIC) (2015), Production Assistant at Paramount Pictures (2014), Art Production Assistant at Fox 21 (2013), and Production Assistant for Homeland at Fox/Showtime (2013, 2012). Upon graduating the South Carolina Honors College in May 2018, Herman Phillips (Film and Media Studies, B.A.) returned to Los Angeles to continue working on HBO’s comedy series Insecure as a set production assistant. Since 2017, Phillips has worked on Hulu’s Shut Eye season 2, HBO’s Insecure seasons 2 and 3, Netflix’s original documentary The Bleeding Edge, Netflix’s upcoming feature film Rim of the World, and several other union and non-union projects. He is currently staffed on ABC’s upcoming prime-time drama series The Fix. After completing his 600 days as a set production assistant, Phillips plans to join the Directors Guild of America and begin working as an assistant director. Following in the footsteps of Vivian Aultman, Shelby Geter (2018), who took Prof. Davis's manga and TV writing classes was hired to work for Disney. Previously her internship with Prof. Davis had her working to schedule him at Anime production companies and manga publishers in Japan during his 2017 trip to Tokyo to show his manga The Hole and do research there. Ethan Ravens (2018) already is rising though the ranks in the independent film scene in Hollywood. In his month there he's worked on three independent films. First as a Key PA for a Sci-fi short, then 2nd AD for American Film Institute, finally 1st AD for a comedy web-series! Ethan Hanson's (MART, 2018) dystopian drama Picking Sunflowers that he wrote in. Prof. Davis's Spring 2018 MART 521D TV writing class has placed into the second round out of approximately 10,000 entries. We look forward to posting more news from our many other grads going full stride into their media careers! “Peak TV and Anime: Why It Matters.” was published in print in the wonderful International Journal of Comic Art 19.2 (March, 2018, pages 311-341). This research was funded by the Hoso Bunka (NHK network underwritten) grant referenced below, and updates his research from his book, Manga and Anime Go to Hollywood to cover the new phenomena of the current exploding relationship between American Peak TV and anime, including Sony TV purchasing Funimation. “Legendary Hollywood designer Syd Mead’s Important Contributions to Landmark Anime.” was published in print in the International Journal of Comic Art 20.2 (March 2019: 20th Anniversary Issue ). This paper explains how Mead, a key designer in Blade Runner and many other Hollywood sci fi classics has an equal impact on the redesigns of Gundam and Starblazers, classic Japanese anime. Prof. Davis was also invited by a respected Japanese academic journal to review a new book "The Anime Boom in the United States: Lessons for Global Creative Industries by Michal Daliot-Bul and Nissim Otmazgin (Harvard University Press) that was accepted and published in the Social Science of Japan Journal (digital version was published in December 2018. Hard copies of the winter issue of SSJJ are currently in print and should be available for shipping by mid-March). Oxford University Press publishes this Tokyo based journal. MARCH 2018: Prof. Davis was flown all expenses paid by the S.I. Newhouse School of Public Communications in Syracuse, where he presented his book and research to students and their esteemed faculty. NOVEMBER 2017: Prof. Davis's airfare and lodging for ten days in Tokyo were paid for by his hosts in Japan in exchange for him giving a book talk about his book Manga and Anime Go to Hollywood (Bloomsbury Academic, 2016) and presenting the research from his paper Peak TV and Anime: Why It Matters to an amazing group of professors and grad students from Japan and worldwide who attended the Japanese Pop Culture on Aesthetics and Creativity symposium at Aoyama Gukuin University. The other days in Tokyo Prof. Davis conducted research and met with executives and producers at esteemed anime companies such as Toei, Warner, Aniplex and was also kindly invited to pitch his The Hole manga to top manga publisher in the world Shueisha, where he met with the editor of Ultra Jump magazine there. Special thanks to Professor Mariko Koizumi of the top manga university, Kyoto Seika, for coming with him to Shueisha and Toei, making the experience so much more fruitful! Also, while in Tokyo he attended the giant Comitia comic con, where he met with editors of other manga publishers about The Hole manga, and did research on amateur and semi-pro manga artists who were auditioning for manga editors at major magazines there. Following that huge event, he attended the One Piece Super Kabuki show with Prof. Koizumi's husband Taketo...based on the world's most successful comic, as named by Guinness Book of World Records, traditional Japanese kabuki mixed with rock and roll and other media. He also visited Once Piece's merchandising store at Tokyo Tower, the Tokyo bookshop area with host Prof. Fondevilla and was interviewed by a top Japanese newspaper about his research and book. APRIL 2017: Worldwide reviews for Manga and Anime Go to Hollywood! 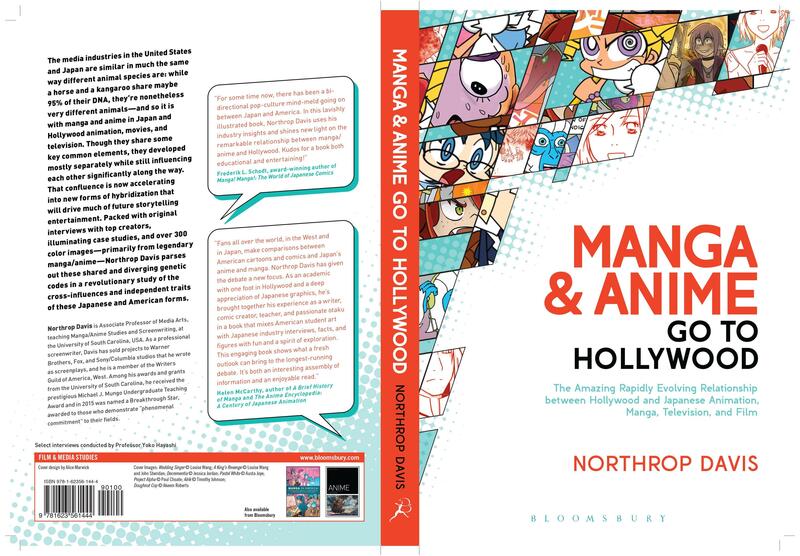 -- Prof. Northrop Davis's book Manga and Anime Go to Hollywood (Bloomsbury Academic, 2016) and his book were referenced several times in recent articles in France’s highly respected and important Le Monde newspaper, which has been called the New York Times of France. Here is one of the Le Monde articles in French. Here is that Le Monde article's English translation. You can find copies in USA libraries including Stanford, Harvard, MIT, Duke, NYU, Columbia University, Georgetown, New York Public, University of Southern California and LA County Public-- and countries such as Japan (Waseda University, Japanese Diet Library, Kyoto International Manga Museum), England (University of Oxford), Netherlands (Leiden), Denmark, France, South Korea (Seoul National University), Germany, India, Singapore, Malaysia, China, Israel, UAE, Turkey, South America, Australia, New Zealand, Hong Kong, Taiwan, South Africa, Switzerland, Ireland, Scotland, and many other countries. -- Prof. Davis has been fortunate to receive a grant from the Japanese Hoso Bunka Foundation funded by Japanese broadcast network NHK, with co-p.i. Associate Professor Mariko Koizumi of Kyoto Seika University, the top manga university in the world. Davis and Koizumi recently traveled to Los Angeles to interview executives and others in the anime localization industry for their research. 2016: Prof. Davis's book Manga and Anime Go to Hollywood first edition is published in England, America and globally. Summary: “The first ever look at how major Hollywood movies were adapted from Japanese manga and anime”-- Provided by publisher (Bloomsbury Academic). 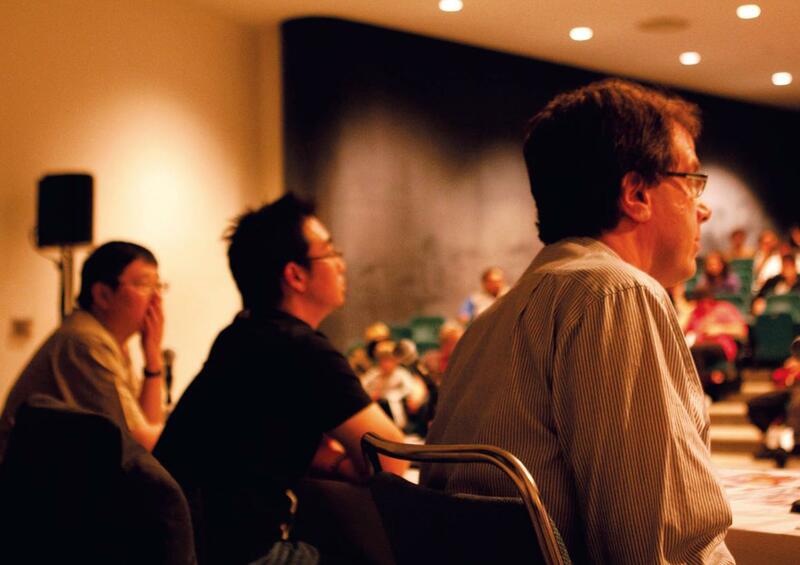 Professor Davis presented about his book, his 9th year invitation to speak at Anime Expo (here at the Anime Academic Studies Conference) July 2016. MART undergrad Teresa Bui joined he and Prof. Koizumi to assist in their grant funded research about American anime localization-- attendance at AX shattered 100,000 one day. http://www.animenewsnetwork.com/press-release/2016-07-09/anime-expo-2016-shatters-record-with-over-100000-in-attendance/.104113 As a result many attendees learned about Carolina/SVAD/MART and the manga classes and WMM. https://www.sc.edu/study/colleges_schools/artsandsciences/theatre_and_dance/theatre/about/theatre_news/2017/news_voice_acting_students_bring_comic_art_to_life.php Currently Thorya Aadland, WMM's webmaster, is working with MART student Crys Cooper to upload four manga with the voice acting on them, to be displayed on a new viewing system they are building for the website. Each semester, Prof. Tobolski and Prof. Davis also collaborate on having Davis's screenwriters and TV writers who volunteer get live reads of their scripts by theater school actors. In July 2015, Professor Davis was very fortunate to be invited to Kyoto Seika University and Osaka Arts University, in Japan where he learned some of OAU’s advanced manga teaching methods. And at Kyoto Seika University, he was invited to present his book’s research. At both of these foremost manga programs the manga students are taught by seasoned professionals. Editors from the top publishers as well as famous mangaka (manga creators) guest speak/teach regularly there. Davis was able to meet with the world class faculty and administrators at both universities. Prof. Davis also conducted research at the Kyoto International Manga Museum, where over 300,000 volumes of manga are archived, along with a research center. The museum is housed in a former school, and funded by the city of Kyoto and Kyoto Seika University. Davis was treated to a tour and a demonstration by the late master of the form Yassan, of Kami-shibai (“Paper Theaters” or “Paper Drama”) an early 20th century form of entertainment that was a predecessor of manga. In this medium, a performer would display ornately drawn picture boards inserted in sequence in a frame as he narrated; he traveled between performance locations on a bicycle, onto which he would attach the frame containing the picture boards. This model is now being used as an experiment to record voice acting from our Theater School students onto some of the manga at wemakemanga.com, a project that originated when USC President Pastides introduced Davis and theater Professor Tobolski and asked them to work together. In Tokyo, Prof. Davis did research at the Tokyo National Museum on Japanese woodblock prints called Ukiyo-e. These predecessors of manga depicted the Floating World culture that began in the red-light district of Edo (now modern Tokyo). The “Floating World” was a celebration of the fleeting nature of life and youth before the onset of decay and death as sometimes symbolized by the cherry blossom’s brief flowering and rapid disappearance. The “Floating World” culture also appeared in other cities such as Kyoto and Osaka. Included in its subject matter were the brothels, Kabuki theaters, and teahouses that were frequented by the expanding middle class. Geisha, Kabuki actors, samurai, and nature were often the subjects of these mass-produced woodblock prints. You can read more about this in Davis’s book, or in Frederik L Schodt’s classic masterpiece Manga! Manga! The World of Japanese Comics. In Osaka, Prof. Davis did research at the Tezuka Museum, in Takarazuka, which is dedicated to the work of Osamu Tezuka, the founder and “god” of the modern manga form. Much of the purpose of this research is to bring the knowledge back to our students at Carolina/SVAD/Media Arts. So that we can increase the quality of our work and create careers. 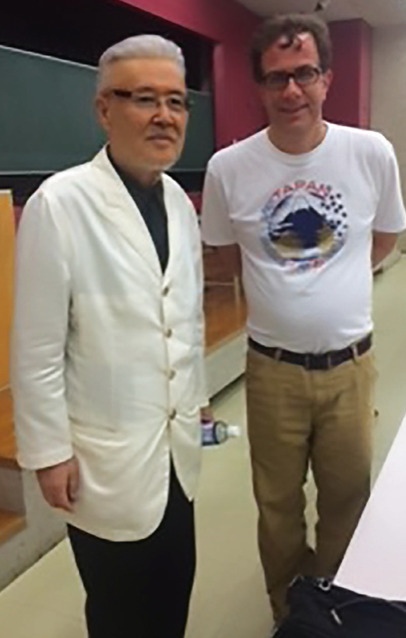 Prof. Davis was also extremely fortunate to meet Kazuo Koike the famous writer of the classic wandering-samurai Lone Wolf and Cub and Lady Snowblood manga, both were adapted into classic movie series, the latter was the basis of Kill Bill, at Osaka Arts University. 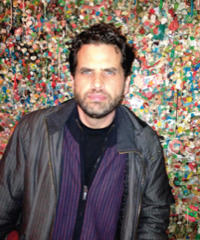 Robert Napton is an American graphic novel writer as well as a former long-time employee at Bandai Entertainment, which, along with Sunrise, distributed the massively successful Gundam and Cowboy Beebop anime franchises in America. Currently Vice President and Editorial Director of Legendary Comics (Legendary Entertainment is the company that produced Pacific Rim and the modern Hollywood hit version of Godzilla—director: Gareth Edwards, Warner Brothers, 2014), Napton story-edited Godzilla’s graphic novel prequel. He spoke about what it takes to be successful in the graphic novel/manga and comics industries and answer questions via video skype. A recent graduate of Prof Davis’s Advanced Screenwriting and TV Writing classes, as previously noted, he sold an option to his feature screenplay to a Harry Potter producer. Brook talked about what it takes to break into the international film industry as a screenwriter. As also noted earlier, Brook also has top agency representation. He answered questions via skype and did so again in fall of 2016 for Prof. Davis's Advanced Screenwriting class. Below, some of Professor Davis’s other recent appearances speaking at the Anime Expo Anime and Manga Studies Symposium, in Los Angeles where Carolina students previously have also traveled to, including presenting papers and interfaced with manga publishing executives (Ashley Poston, Keyes and Mike Hughes). As noted, more are traveling there to present at the academic symposium summer 2016. 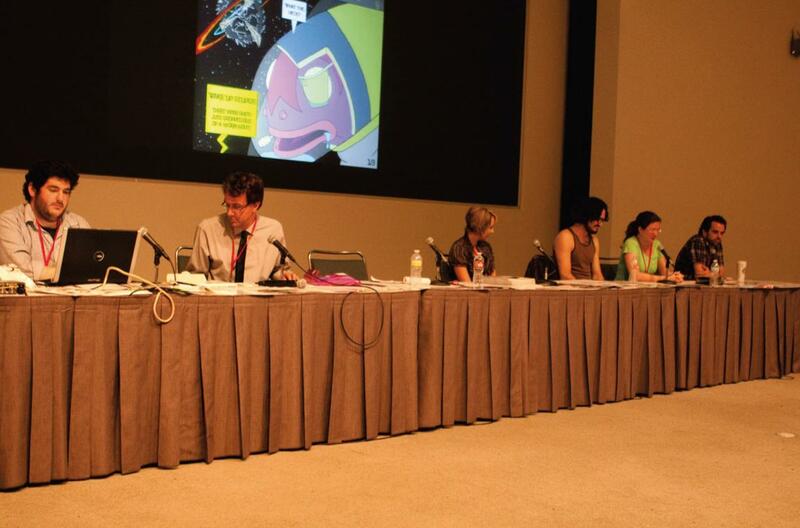 Above, presenting his research for the new book at the annual four-day Anime and Manga Studies Symposium at Anime Expo, held at the Staples Center in Los Angeles, CA, July 4, 2014. Over 80,000 people attended Anime Expo out of 220,000 total turnstile visitors, which was a 30% increase from the year before. Attendance increased again when Davis spoke there in 2015, to 260,700 turnstile and a new record of 90,500 attendees for the peak day, as well as bidding wars that erupted over USA anime distribution rights, all indicating a sustained upswing in manga/anime popularity in the United States. Photo: Aldo Sarellano. Below, one of the panels Prof. Davis organized to discuss the topic of his book at Anime Expo with Sunrise (as previously noted, the large anime studio that produces Gundam and Cowboy Beebop) executive Nobuo Masuda and Ken Tsumura, a producer of the Astro Boy adaptation, both are interviewed in Davis’s book. Photo: Burt Le. Back row, right to left are Professor Nobuaki Hosoda of Osaka Arts University’s Character Creative Arts Department, and Nobuo Masuda, consultant and point man for Sunrise’s Hollywood movie deals, who both visited here, observing Davis’s manga class in 2013. Successful mangaka teach at OAU including Kazuo Koike (as noted the writer of the famous manga Lone Wolf and Cub and several other classics), who lectured about manga story/script-writing on the day Davis visited OAU) and major manga publishers’ editors have visited there. Our students loved the opportunity for his professional feedback. Left back row, Davis’s book’s lead research assistant Austa Joye, a talented aspiring mangaka lauded by Professor Hosoda for her storytelling transitions (tempo)—see her various manga, including hybrid Cartoon Network style Pastel White, at Wemakemanga. Photo: James Henderson. 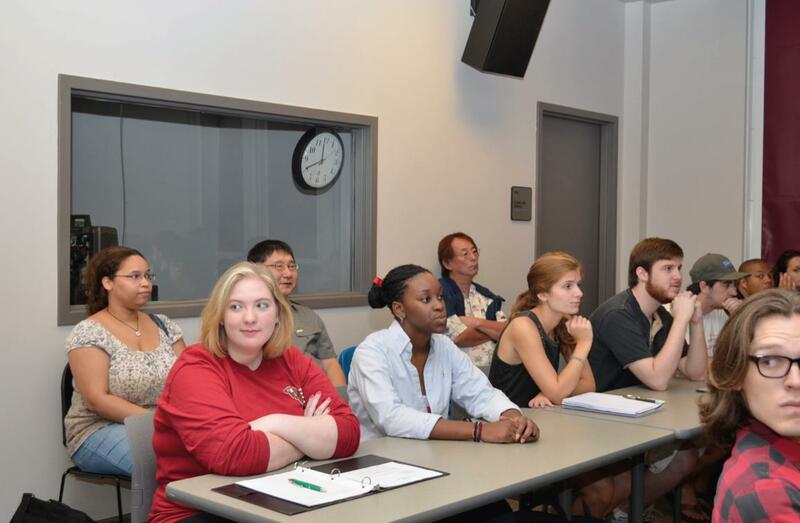 Below, Carolina students have traveled to present their papers at Anime EXPO's Academic Symposium in Los Angeles with Professor Davis, including Ashley Poston and Keyes. Mike Hughes also showed off his revisions of the WeMakeManga website there. Above, a previous appearance of the wemakemanga group at Anime Expo, featuring previous wemakemanga webmaster Mike Hughes, who is on the far end to Prof. Davis’s right, American manga editor Lilian Diaz-Przybyl (second from far right) and Robert Napton (far right) who is interviewed in Davis’s book. Also pictured is American manga creator Tania Del Rio. On the screen projected behind the panel is manga class graduate Paul Choate’s Project Alpha (also at Wemakemanga). The hope is that these traveling students make career connections and further their skills by meeting publishers, artists, mangaka, executives and others. Photo: Bert Le. Wemakemanga Productions was approved by the University of South Carolina for student-club status through the efforts of first WMM Club president Tyler Cheney. Prof. Davis is the group’s faculty advisor. Prof. Davis also is faculty advisor for Club N.A.S.H.I., the university’s anime club, whose current president is Dawn Jensen. The new Wemakemanga.com club President for 2018 is Benjamin Greene and the Wemakemanga.com webmistress is Thorya Aadland, who assisted by Judson James is presently performing an exciting site overhaul, so check back for improvements! And we all are deeply grateful to Skylar Smith and his fellow previous webmasters Mike Hughes, Noel Rodgers, Cecil Decker, Andrew Zah (who created the wmm blog), and graduated Art Studio major and professional designer Marlowe Leverette, who created the WMM logo. Marlowe's student manga Motherbot Connection can be seen on the site. Manga class and Wemakemanga.com student group members presented their creative work, teaching methods and plans for the class/website at Nashi Con, which is a successful offshoot of the USC student group Nashi Club-- which Prof. Davis is faculty advisor for. On Sunday April 2, 2017 the USC Wemakemanga.com student club presented their plans for the website and class to the SC manga/anime community at Nashi Con at the Columbia Metropolitan Convention Center (Panel 3). including President Tyler Cheney, VP Kyle Stephenson and Prof. Davis. The Nashi Con group are USC students and alum who have created their own annual manga/anime convention, Nashi Con, each spring that has grown so large it has moved out of Russell House, which it outgrew, to the Convention Center. On Saturday, August 26th, 2017 Northrop Davis and students from the Mart 521c Art and Business of Manga and Anime class and Wemakemanga.com club members presented their work at Soda City Con at the Columbia Metropolitan Convention Center. Prof. Davis also spoke about the tidal wave of action in Hollywood currently regarding manga and anime and his internationally recognized manga production class, the Wemakemanga website and USC student club. Tandria Fireall, Christine Shestko and Diana Barahona created a new writer’s group for USC students which, after they graduated, was run ably by Cliff Johnson. 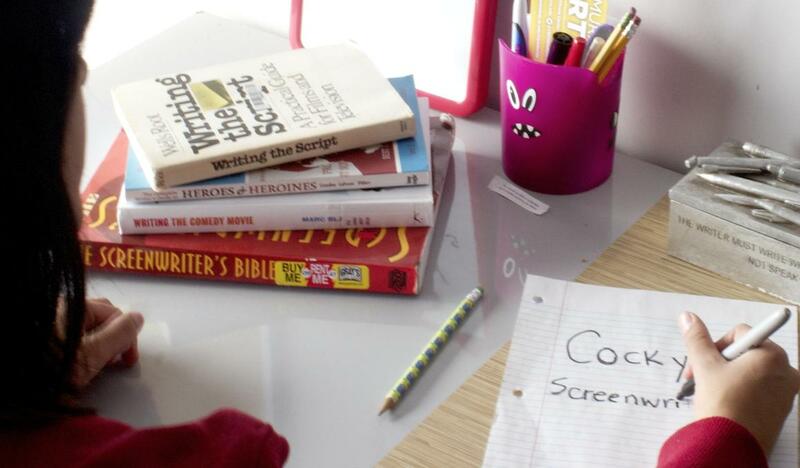 This is a forum for students to critique each other’s TV pilots and screenplays or other fiction writing. Writers intending to improve their scripts should join this active group! Last but not least, currently WMM is highlighting work from students in SVAD taught by other professors, that is related to manga, in this case a project with some anime style, created by Adam Brown in Catherine Chi's class, titled Sad Kiwi Animation. Media and interested students and educators can email Professor Davis at DavisNF@mailbox.sc.edu for more information on his classes, book, quotes for media, requesting him for public speaking appearances, consulting, and his upcoming manga to be published “The Hole” (volume 1 to be published by Scout Comics upcoming--more soon on it!). Professor Davis's classes- The Art and Business of Manga and Anime (MART 521C), Advanced Screenwriting (MART 521A), TV Writing (MART 521D) and each spring one section of MART 321 (Beginning Screenwriting/Global Storytelling), are all offered in the Media Arts (MART) area of the School of Visual Art and Design (SVAD) at the University of South Carolina's Columbia main campus. Are you interested in becoming a Media Arts major, minor or taking our classes? If so, please see: http://www.sc.edu/study/majors_and_degrees/media_arts.php. For a full list of other classes in SVAD, including recommended classes like figure drawing, color theory, which are ideal, but not required before taking Professor Davis's Manga and Anime (MART 521C) class, please contact Undergraduate Student Services Coordinator Rebecca Boyd at BOYDRR@mailbox.sc.edu.